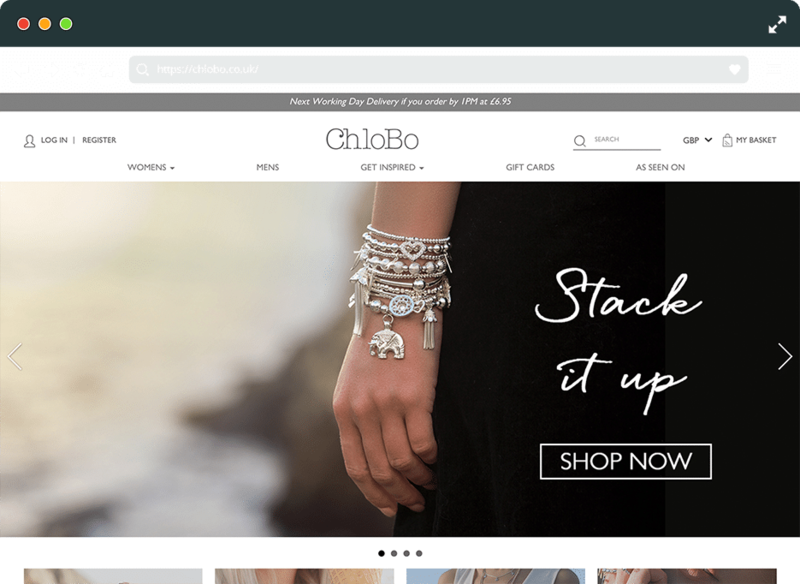 Chlobo is a bohemian jewellery retailer who sell directly through their online store as well as through their network of over 170 stores nationwide. They are the original stacking jewellery brand and their jewellery is all handmade in the UK. ● Increase the number of newsletter sign ups via social channels. ○ Developed multi-marketing campaign management tool to better manage promotions. ○ Optimised pages and added full page cache to reduce page load times. ○ Created a range of social campaigns to get users to sign up to the newsletter. We achieved this by using a variety of ad formats and constantly updating the ad-copy and by creating new audiences based on demographics, interests e.g jewellery brands, look-a-like audiences. ○ Used the audience insight tools to create new lists based on ‘other interests’ that users have that weren’t related to jewellery.